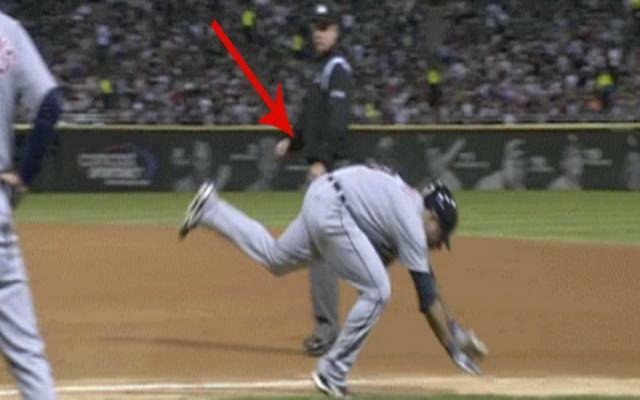 These Awesome Baseball Fails Will Have You Cracking Up. Oh, Athletes. Baseball postseason is just about to start and to celebrate it, let's look back at some of the funniest moments in baseball over the past few years. These animated .gifs are hilarious for all sorts of reasons and the hilarity comes in all shapes and sizes. From funny pitches, awful base running, and even playing with imaginary friends, it's no wonder why baseball is and always will be America's pastime. 1.) You're not in the Matrix. 2.) Happens to the best of us. 3.) Who knew bases were made of land mines? 4.) Always look where you're walking. 5.) So... I guess he was safe. 6.) The bad throw wasn't the only error on that play. 7.) Not sure if he was safe or not. 8.) Don't even think of stealing second base! 9. Well, that'll cost him. 10.) That pitch just broke that poor man. 11.) Sometimes you just lose control of your limbs, you know?